Maybelline has always been one of my most favored brands. It’s affordable and it gives good quality compared to a lot of products available in India. Maybelline launched a very exquisite range called the 14hr + range and today I will be reviewing one of the products from this range. Keep on reading the review to know more. 16 smudge free lipstick shades. I was dying to get my hands on at least one matte lipstick. I was actually looking for the shade “eternal rose” from this range but due to unavailability ended up buying this one and I am glad I did! Its fun, bright and joy! This shade is perfect for summers as well as for winters and if you want to look hot this winter then this is the shade you should look out for. The packaging is simple and not at all fancy. It’s a little chubby tube with a white cap. I totally hate the white cap and I think it spoils the look. The base is transparent and shows the color of the product. This makes it easy to locate the product. The case is secure and easy to carry. I did not face any problems of any sort. 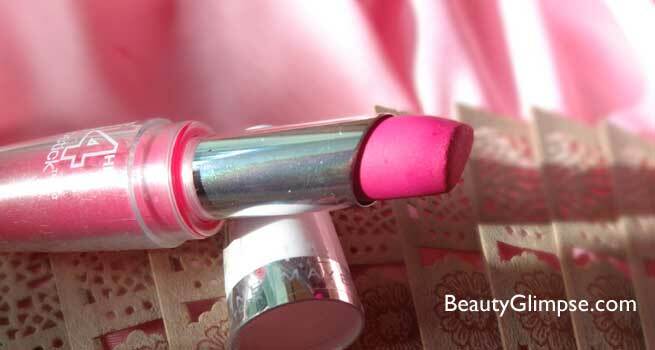 The texture of the lipstick is semi matte and gives a glossy effect at first. The glossy effect wears off after sometime. Now long staying and matte lipsticks are generally drying so I exfoliate my lips before using this lipstick. You are ready to rock it! 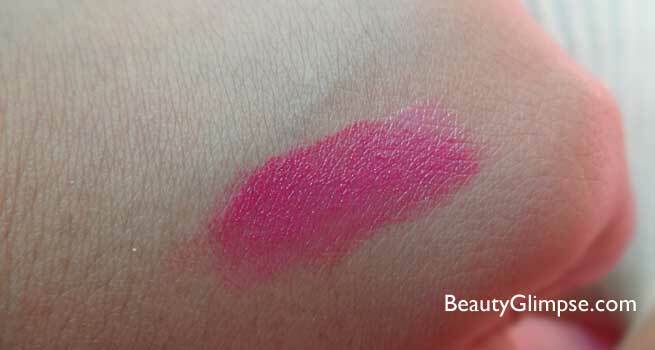 So I do all the above steps before applying this lipstick and then I love the effect it gives. It’s definitely matte and looks really nice. It has a range of 12 shades and if you want to try matte lipsticks at affordable price you can choose one of them according to your taste. This particular shade is bright fuchsia with cool blue undertones. 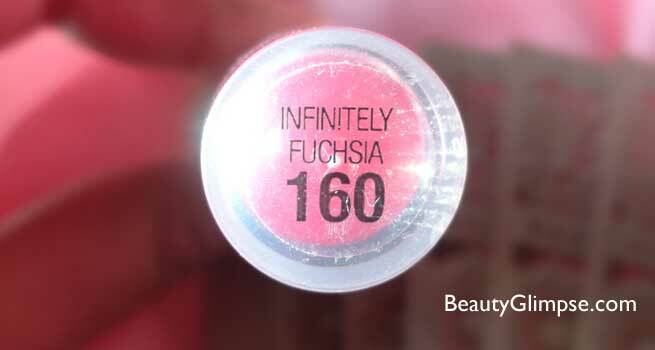 This one is for medium to fair skin tones and you can complexly get the oomph factor with this shade. It’s not very normal and office wear shade. You have to coordinate the makeup for this shade. But I love it completely. It gives the needed pop to my face and it looks really pretty. The staying power is not 14 hours for sure. 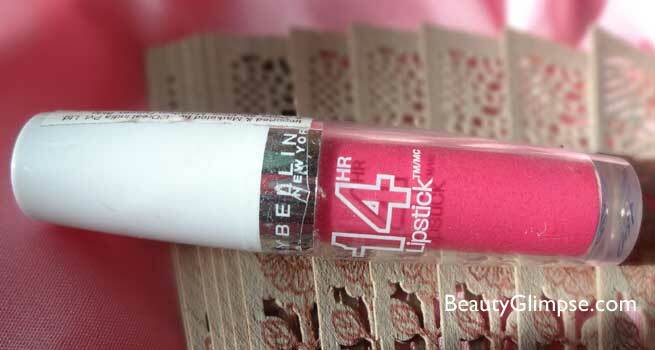 It stays put for 5-5 hours after which it leaves an intense tint on the lips which lasts for hours. I love the tint as well and I think it’s really pretty. Overall I would completely recommend this lipstick and you should definitely try it out.